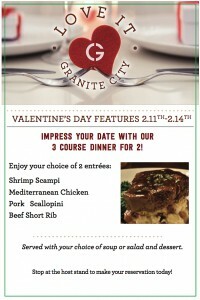 Impress your date with our 3 course dinner for two. Your choice of entree, soup or salad, and mini dessert. Contact your favorite Granite City location for more information.